And their next goal will smash that last one. There’s no time to waste when you’re in the business of saving lives. In 2012, the U.K.’s then-Prime Minister David Cameron launched the 100,000 Genomes Project, an initiative with a challenging but straightforward goal: sequence 100,000 human genomes. On Wednesday, the project announced it had met that goal — and it’s already looking ahead to an even more ambitious one. Your genome is your unique DNA sequence. It’s 3 billion letters long and resides in almost every cell in your body. Today, cutting-edge machines can write out this entire list of letters — that is, sequence your genome — in about 24 hours from one tablespoon of your blood. The people behind the 100,000 Genomes Project didn’t sequence a random assortment of genomes. They sequenced the genomes of 85,000 National Health Service patients — each either with a rare disease or related to someone with a rare disease — as well as the genomes of cells taken directly from tumors, for a total of 100,000 genomes. The hope was that this massive sequencing project would uncover better ways to treat and diagnose people with rare inherited diseases and cancers — and so far, that seems to be the case. Twenty-five percent of the people with rare diseases who participated in the 100,000 Genomes Project received a diagnosis for their condition for the very first time. Prior to having their genomes sequenced, these people didn’t know exactly what was causing their symptoms, and now that they do, there’s a better chance they can receive effective treatments. While reaching the 100,000 milestone is cause for celebration, the U.K. government doesn’t plan to stop there. 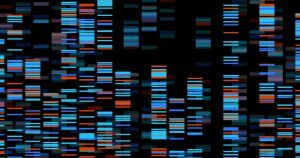 In October 2018, the nation announced its new goal: sequencing 1 million genomes over the next five years.